Leading Manufacturer of ptfe ready cut gasket, ptfe filler gasket, ptfe envelope gasket, ptfe solid ring gasket, carbon filled ptfe gasket and ptfe gasket from Ahmedabad. 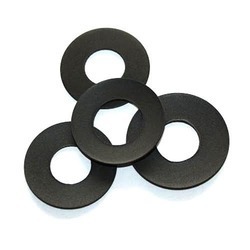 PTFE gasket made by cutting PTFE stick,pipe and sheet into flat shape PTFE gasket,v shape PTFE gasket or valve annulus PTFE gasket,it has 100% PTFE structure. 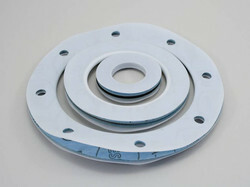 It can bear the most bitter chemical medium, and PTFE gasket has good anti-creeping performance.PTFE gasket is a replacement,and it is anti-creeping,anti-cold-flow and anti-low-temperature.PTFE gasket has no pollution and is easy to install and replace. Under small pre-tress force, it can bear great internal pressure even in a environment of changing pressure. It is the best suit the condition with rough and fragile flange and alternately-changing temperature. With good mechanical strength ,PTFE can be made into different shapes of PTFE products or other metal products ,such as PTFE envelope gasket, spiral wound gasket, metal corrugated gasket or metal serrated gasket. 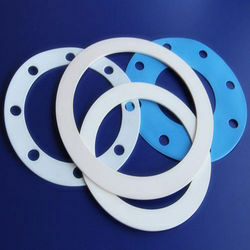 We are the leading supplier and manufacturer of the PTFE Filler Gasket. At high or low temperature, high vacuum, impact vibration cycle alternating and all kinds of harsh conditions, maintain its excellent sealing performance. Suitable for the temperature, pressure alternating severe sealing parts, its the static seal for pipe, valve, pump, heat exchanger, tower, manhole,hand hole and others flange connection. Widely used in petrochemical, machinery, electric power, metallurgy, shipbuilding, medicine, atomic energy, and aerospace industries. 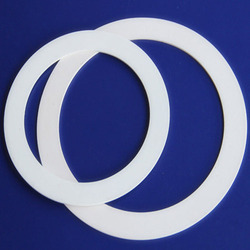 Riding on unfathomable volumes of industrial expertise, we are offering an excellent range of PTFE Envelope Gasket. 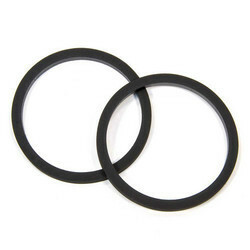 We are engaged in offering a distinct collection of PTFE Solid Ring Gasket. 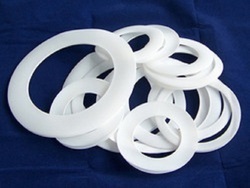 Looking for PTFE Gasket ?